Virtual Tour This is the one! Gorgeous 3rd floor unit with open layout featuring 2 bedrooms plus den and a large kitchen island, in an attractive elevator building. The stunning kitchen has stainless steel appliances, granite countertops, full-height granite backsplash, and an island that will be the center of parties as well as food preparation. Open to the kitchen are a lovely living room with fireplace, a generous dining area, and a versatile den that can serve as an office or family room. The master suite includes a walk-in closet and spacious bathroom with 2 sinks, whirlpool tub, and separate shower. Split floor plan includes a big 2nd bedroom and full bath. Great balcony with tree-top views. Gas, water, and heat are included in fees! Also included are a heated garage space, storage closet, and an outdoor parking space. Amazing location across from Adler Park, near Independence Grove and vibrant downtown Libertyville with its restaurants, pubs, shops, library, festivals, & Metra train station. Milwaukee Ave south of 137, north of Park, to Wellington entrance. I was searching on Blue Fence and found this listing. 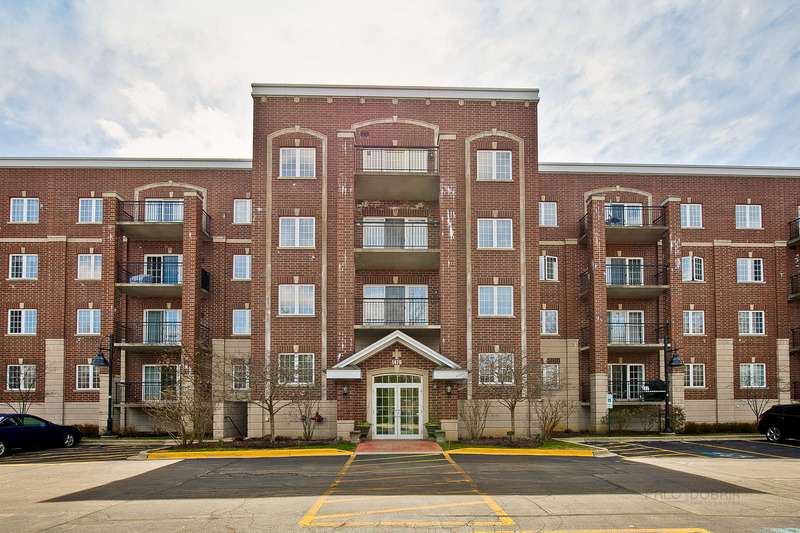 Please send me more information about 1479 North Milwaukee Avenue 312, Libertyville, Illinois 60048. Thank you.